The 20th edition of Porto Antico Estate Spettacolo arrives in Genoa, the event is one of the most important and varied of the genoese summer. In about two months it offers a lot of performances distributed among 4 different locations: Arena del Mare (capacity 5000 people), Piazza delle Feste(covered outdoor theater for over 500 people seated), Palco Millo (open air space for new proposals and debutants), and Isola delle Chiatte (floating stage for theatrical and musical performances suspended on the sea). During the Goa Boa Festival, Calcutta (5th of July), Jethro Tull (th of July), Carl Brave (18th of July), Max Gazzè (19th of July) e Salmo (20th of July); while during the Live in Genova, save the date the italian singer Irama on the 6th of July. Moreover, from the 23rd to the 31st of July, at the Carlo Felice Theatre, will be put on stage the show "Ti porto all'opera"; and on the 2nd of August, the comic company Bruciabaracche will make the audience have a great time with their extremely fun show that they will put on stage during "Ridere d’Agosto ma anche prima"; followed by Paolo Ruffini on the 5th of August that will bring along with his show a great gust of joy. 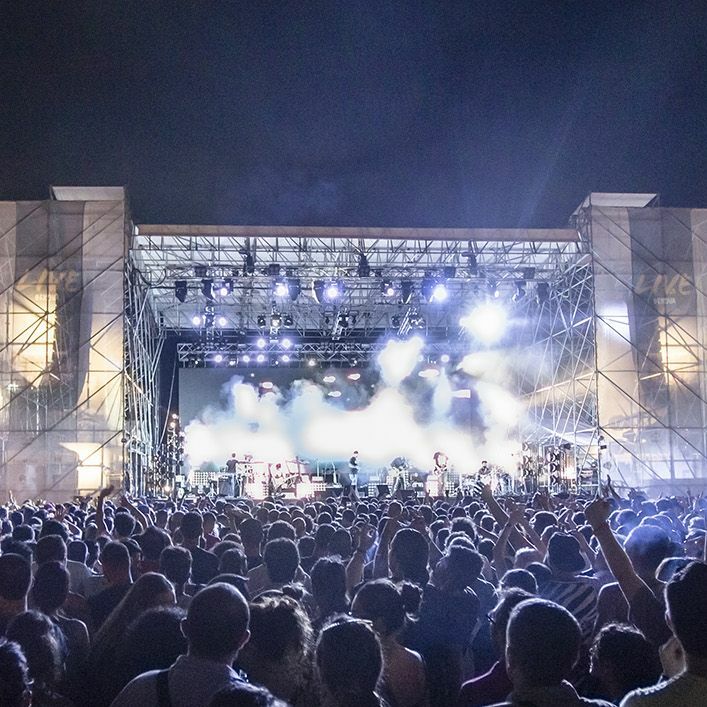 Porto Antico EstateSpettacolo will host also great theatre shows at the Isola delle Chiatte and over a month of scheduled events at the Piazza delle Feste with jazz, comic theatre, prog and metal music and the third edition of the Cine&Comic Fest 2019.